The Vision for 2016 is ready for the new season. We did use 2015 as a learning/testing year before spending the euro's , and after the Worlds we did see and know that the choices we made during 2015 is in the good direction to improve the performance of the Vision further more. 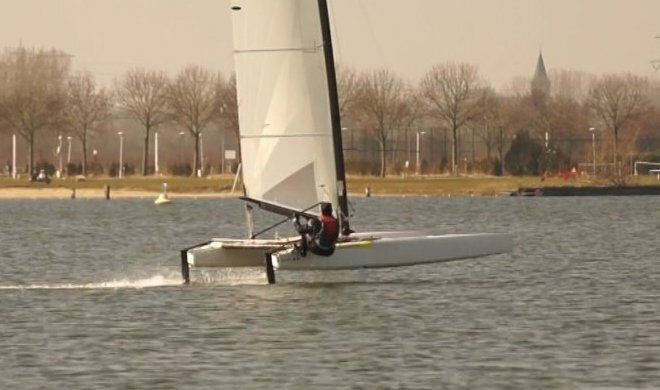 * With a new and improved layout of the non-slip the stability of standing on the side of the boat will help in a more comfortable and save sailing experience when flying. 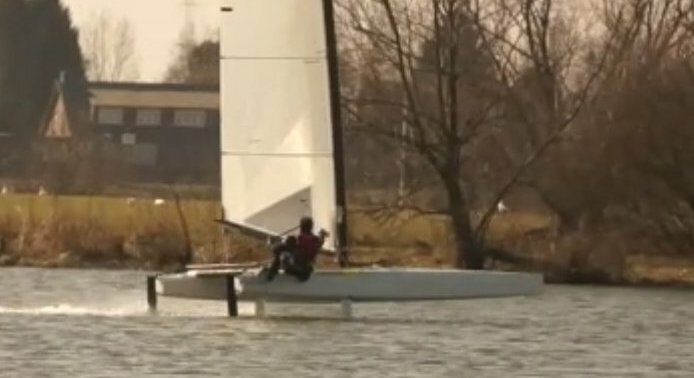 * The new designed daggerboards gives a early flight possible but also can be adjusted to have a controlled situation in more windy conditions. * The development on the rudders was the thoughest one but supports the flight nice and clean. The Flying Vision 2016 is ready to go and see some test photo's below.